With stunning harbourside towns and a coastline that encompasses a variety of sandy beaches, secluded coves and umpteen rock-pools, it’s no surprise that South Devon has some of the best crabbing spots in Britain. Crabbing is a classic British seaside activity, and keeps both children and adults entertained for hours! The team at Coast and Country Cottages are well seasoned crabbers, and we want to share with you our top crabbing tips, certain to get you and those mighty-clawed crustaceans coming back for more. South Devon is such a crabbing hotspot, that we even host our own festival inspired by the famously flavoursome brown crab caught off the South Devon coast! The Salcombe Crab Festival (fondly known as Crabfest) is an annual celebration of the local fishing, food and tourism industries. As well as celebrating Salcombe’s historic crab fishing industry, it also raises money for important local charities, and is an extremely popular event. Expect to enjoy a jam-packed day full of events that include cookery demos, crab picking masterclasses, crab pot making, live music and much more. Bucket: The bigger the bucket, the better. Crabs don’t like being overcrowded, it’s a little unfair. The current guideline suggests a maximum of ten crabs per bucket, so be mindful of this when pulling in the crabs! Crab line: Essentially, a crab line consists of a piece of string or fishing wire, bait and a weight that is heavy enough to keep the bait at the bottom of the shore. You will find crab lines readily available in shops throughout South Devon, but if you do get stuck, it’s very easy to make your own. A net: As soon as you bring your crab out of the water, the little rascal will try and jump off and head back home. Using a net can be useful to land the crabs, and then placing them in your bucket to view their quirky antics. Bait: Crabs are notoriously greedy, and have a super sense of smell, so the smellier the bait the better. Firm favorites are raw liver, bacon, sardines, squid and fish heads (if they are a couple of days old then even better! ), all of which can be found at local butchers and fishmongers throughout the region. Find a suitable spot, and drop your line into the water. Make sure that your bait reaches the bottom and try to avoid any clusters of seaweed. Hold the line loosely in your hand and wait (ever so patiently!) until you feel a crab tucking into your ‘sumptuous’ bait. When you’re 100% sure the crab has a firm grip and is enjoying a feast, slowly and steadily bring the line up. This part of crabbing is a fine art, where practise makes perfect; try to pull the line up slowly, so the crab doesn’t even realise it’s happening, but not so slowly that the crab has eaten all the bait and jumped off. Make sure your net is to hand, and place it under the crab just before lifting it from the water. If you plan on keeping your crab whilst waiting for more, place the crab in your bucket. Fill your bucket half full of sea water, and place a little seaweed in it to provide shade for the crabs. Try and change the water once an hour, being mindful to not overcrowd the space. Shore crabs aren’t edible… so do not try cooking them, let them go home! Find a suitable place close to the water’s edge to let your crabs free, and then send them scuttling. 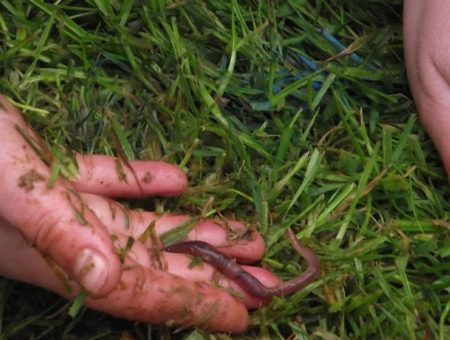 Children love watching them scurry sideways as they head back into the water, just remember to keep little fingers and toes away from pincers, because crabs can nip in self defence! 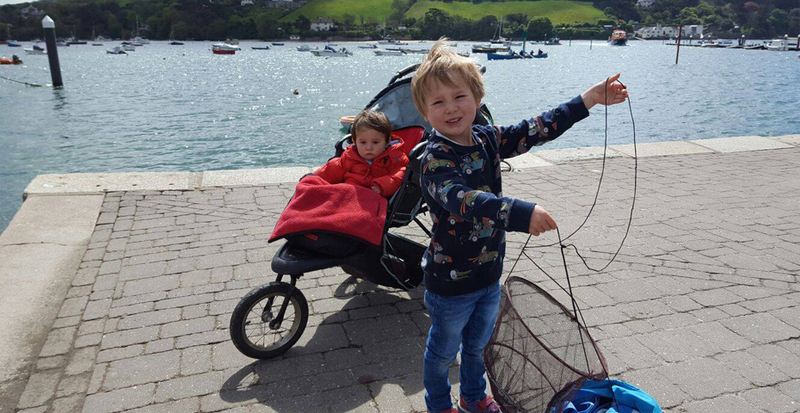 Situated in the town centre, Victoria Quay is a favourite crabbing spot in Salcombe, and best of all, some of the Quay provides a small wall, perfect for smaller children that are often fearless and eager crabbers. 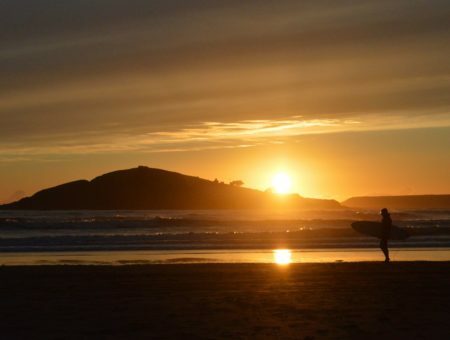 Be sure to check the tide times before heading out as you will need an incoming or high tide for the best results. 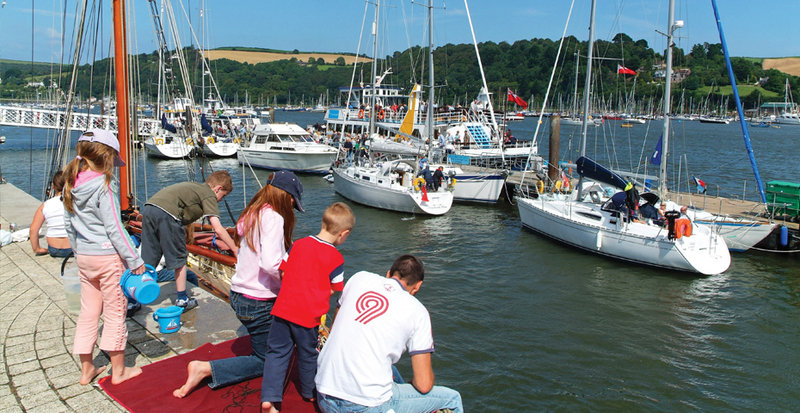 Dartmouth has so many great crabbing spots it can be difficult to know where to start! The most popular location is along the embankment, and enjoys fantastic views of the River Dart. 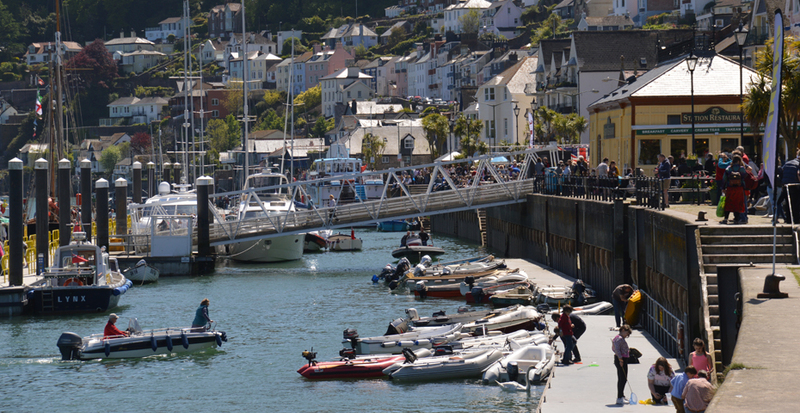 If you would rather keep away from the crabbing crowds then head to the Dartmouth Castle Ferry Steps. One of the lesser known crabbing spots in South Devon is found along the footpath that runs parallel to the railway line in Kingswear. A highlight of this spot (if you are very lucky!) is that you might catch a close up view of the steam train as it passes. The best place for crabbing here is off the pontoon, so whilst waiting for crabs to nibble your bait, enjoy watching the motorboats cruise the River Dart. Located just a stone’s throw from The Ferry Boat Inn and the Anchorstone Cafe, you will never find yourself far for from refreshments should your crabbing session become a little strenuous! You will find shore crabs throughout the estuary in Kingsbridge, and one of the best spots to crab is from The Quayside. If you would like to enjoy a tipple, and even a bite to eat, then head the The Crabshell Inn which is situated on the quayside and has a great selection of tables shouldering the water’s edge. 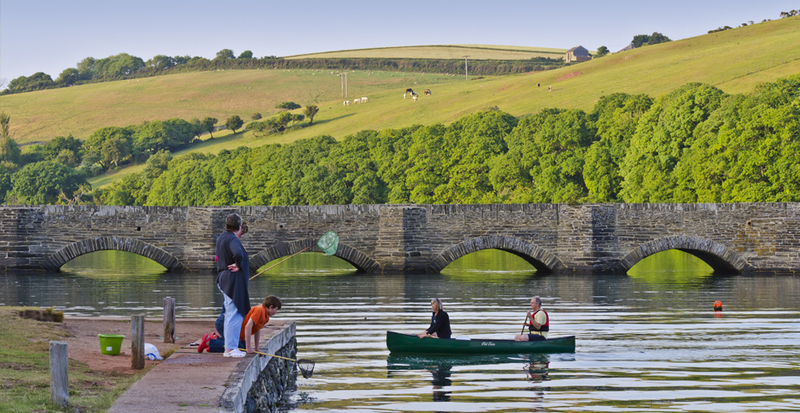 Bowcombe bridge overlooks the Kingsbridge estuary towards Salcombe, and is a very popular spot amongst families. 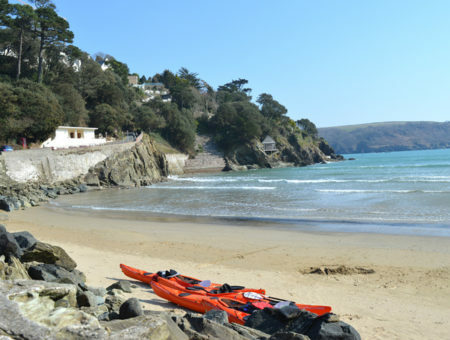 Here, you will find children and adults enjoying a range of activities such as crabbing, paddle boarding, kayaking and swimming. For the best crabbing spot, walk down from the bridge (where you will see a small amount of local boats) and sit along the high wall and slipway. South Pool is extremely peaceful and tranquil, and you will certainly see swans, ducks, and fish jumping out of the water on your crabbing expedition. The best place for crabbing in the village is from the small pontoon, which is easy to reach, simply head past the Millbrook Inn pub (serving excellent food and drink), down the lane and across the waterfront. It’s so peaceful here, and crabbing at South Pool is always successful! Nestled between the River Dart and a tranquil mill pool, Stoke Gabriel is regarded as one of the most idyllic crabbing spots in the county. Drop your line along the shore of the mill pool, along the quay or on the dam itself. What’s more, The River Shack Cafe is a popular bistro situated on the water’s edge, and sells not only top produce, but also crabbing equipment should you need it. 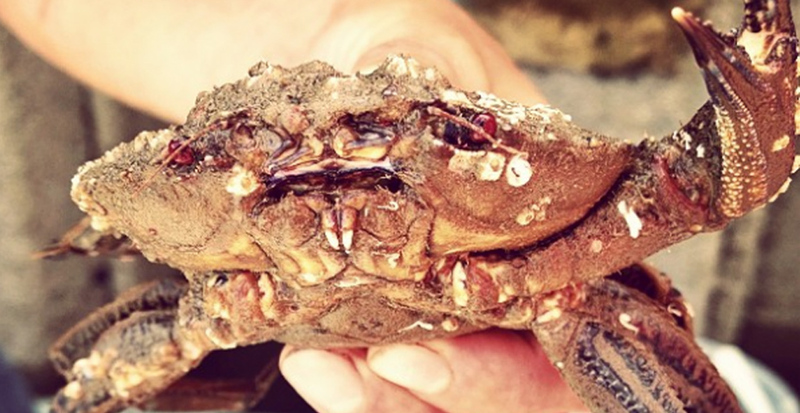 We hope you enjoyed our guide to crabbing in South Devon. There are plenty of other exciting activities to enjoy in our region, so for further suggestions take a look at the best things to do in South Devon for all ages, or browse our family days out pages.